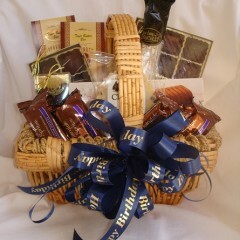 Chocolate lovers gift baskets hand delivered in Las Vegas. 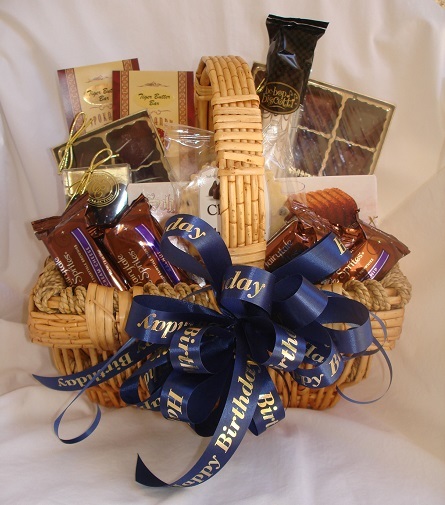 This basket is any chocolate lover’s dream come true. Satisfy the pickiest sweet tooth with salted caramels, decadent truffles, gourmet brownies, cookies and biscotti, peanut butter and fudgaretto bars, chocolate covered espresso beans and more. 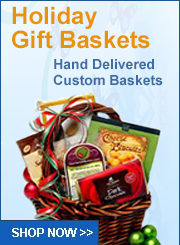 Our baskets are designed fresh as ordered- and we love to build your dream basket to satisfy your chocolate dreams. 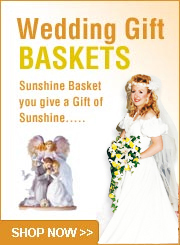 Excellent as a birthday gift, Christmas gift or even a Just Because gift. 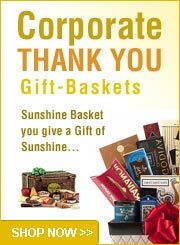 Basket included: 8 piece salted caramels, 8 oz truffles, 2 gourmet brownies, 3 oz chocolate covered pecans, 3 oz cinnamon pecans, almond roca, 2 oz chocolate cake, 2 oz peanut butter and fudgaretto bars, 2 oz espresson beans, 2 biscotti, 2 pack buttery shortbread cookies. 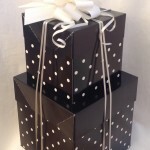 Wrapped in soft cello with a hand tied bow and a personal message card to convey your sentiment. 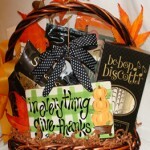 Imprinted ribbon available to say “Thank You”, “Happy Birthday” or “Congratulations”. Go ahead and make your selection, there is no extra charge for this upgraded ribbon. 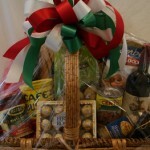 It truly is our pleasure to be a part of your gift giving event! We reserve the right to substitute items that are out of stock. If this happens you will receive equal or greater value of chocolate items currently in stock. 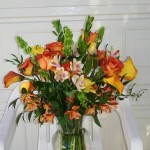 Designed “fresh’ as ordered.